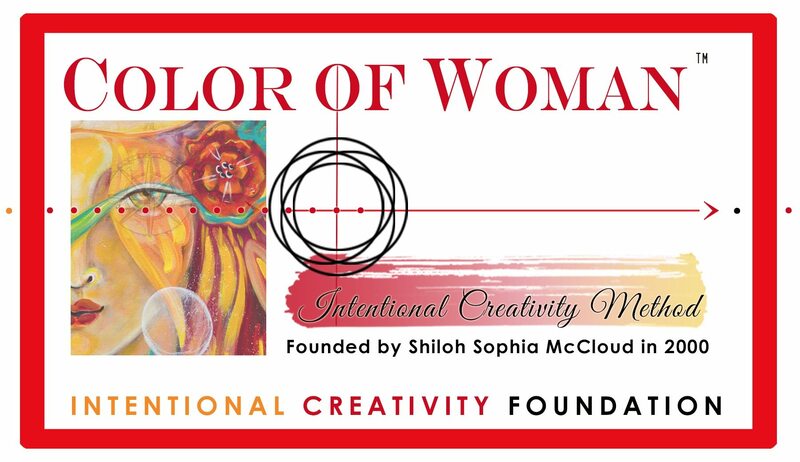 The Intentional Creativity Foundation works together with Cosmic Cowgirls and the Color of Woman School to bring you an incredible training based on over twenty years of research with this work. Learn more and receive announcements and updates here. 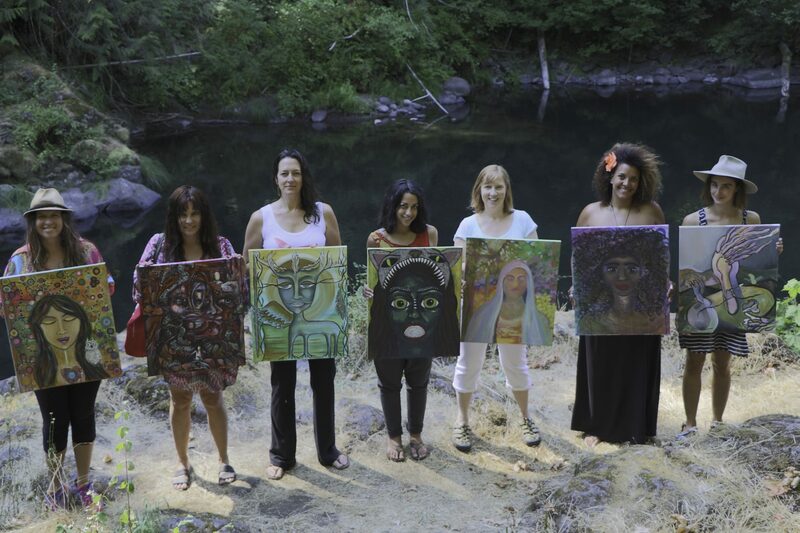 The Color of Woman: Intentional Creativity Teacher Training educates and empowers women to lead their own circles, workshops, and communities inspired by their own Soul Work coupled with Intentional Creativity. 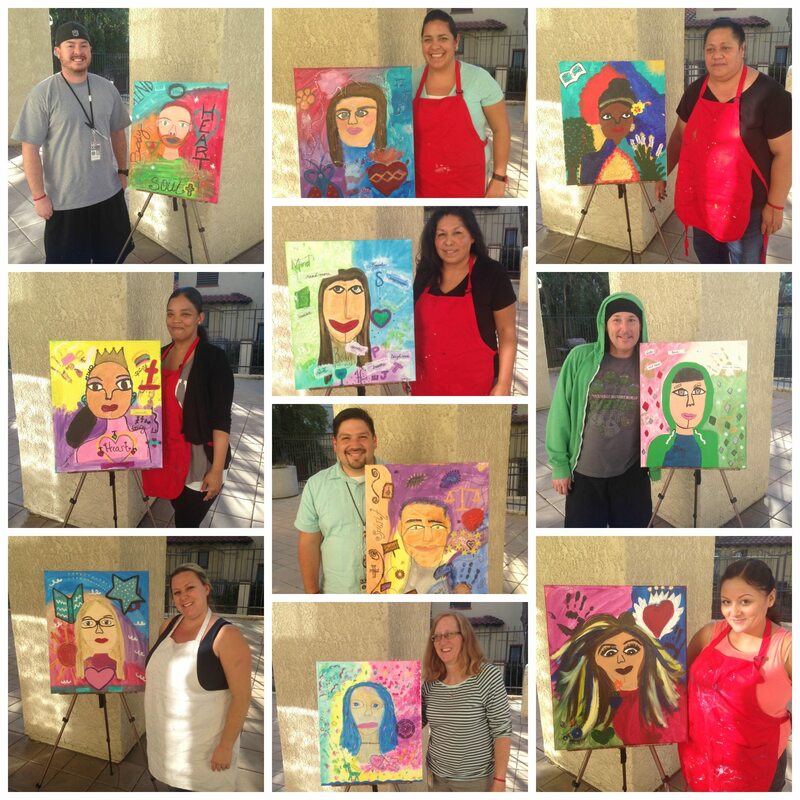 The training results in Certification to Teach Intentional Creativity. There are 3 primary delivery templates taught to which any teaching theme can be applied: Circles, Sessions and 13 Step Workshops. The entire content of the training required for Certification is available through the Core Online Training and most of the time, there are in person components in places like California, Denmark, France, Australia and Italy. 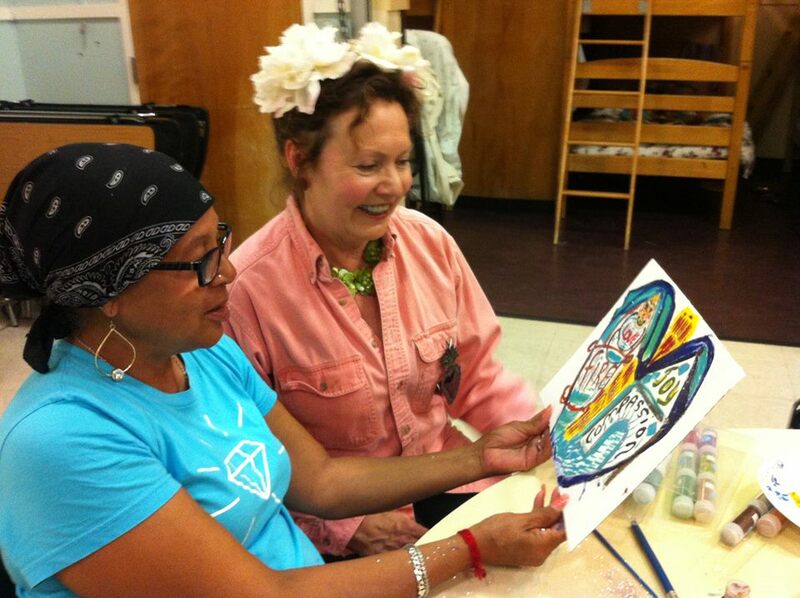 At the heart of the Color of Woman Training an integration of your personal path with your life work path. When there is alignment, we call it SOUL WORK. 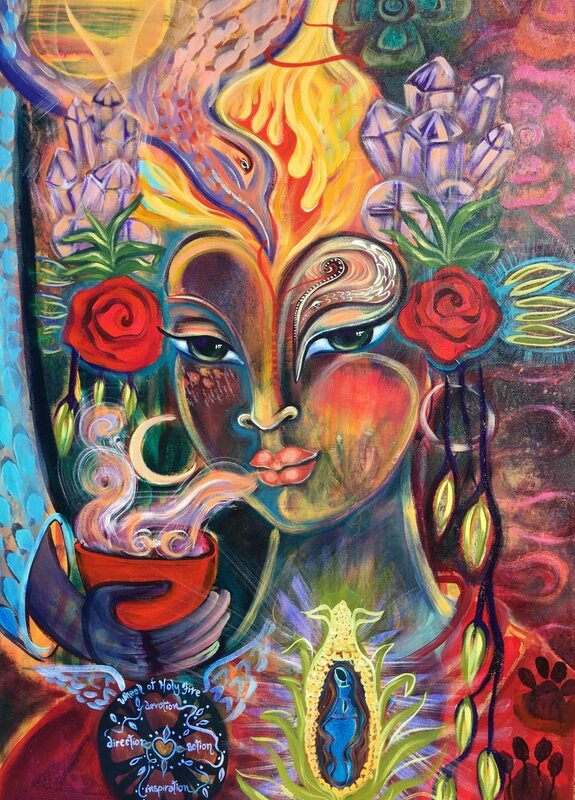 Women who walk between two worlds are often seeking the FORM through which they can live a life where all aspects of themselves get to be included, celebrated and create abundance! 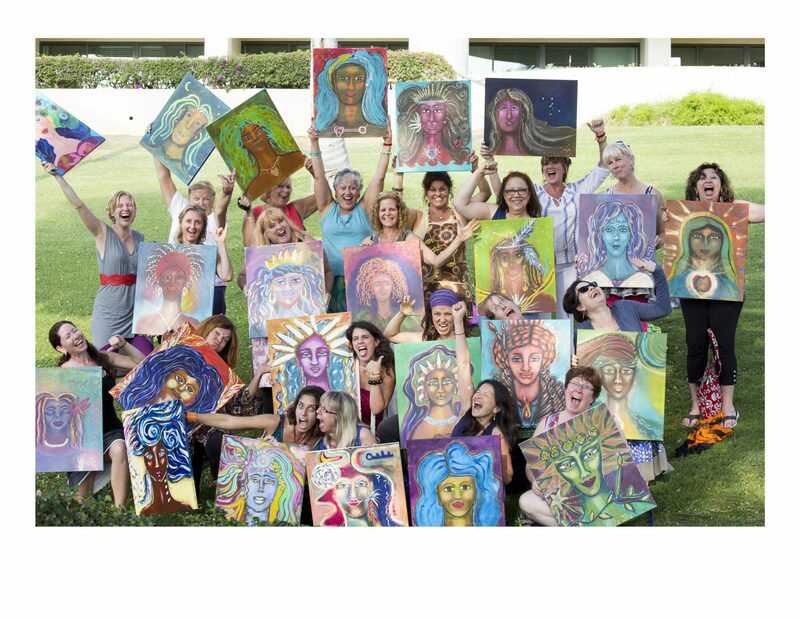 Color of Woman is a Quest that is capable of integrating the many facets of powerfully unique and complex women. The portal of possibility opens! Even if you aren’t sure why, you feel somehow connected. Feel the tug? 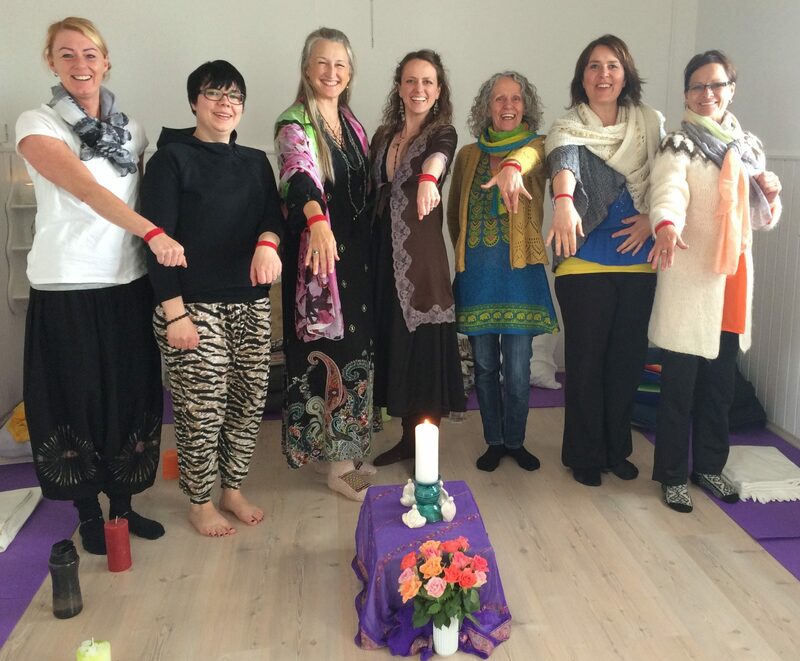 Here in the Red Thread Circle we believe that those who are destined to meet are connected by an invisible red thread since before birth. 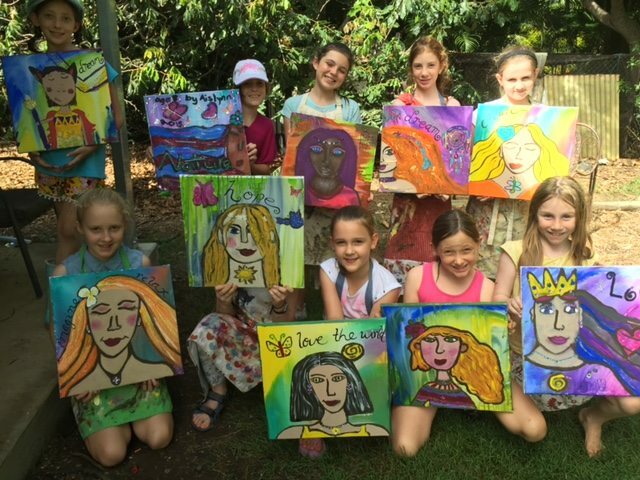 We are gathering those who have a desire to light their creative spark and from that spark, light the soul fires of others. 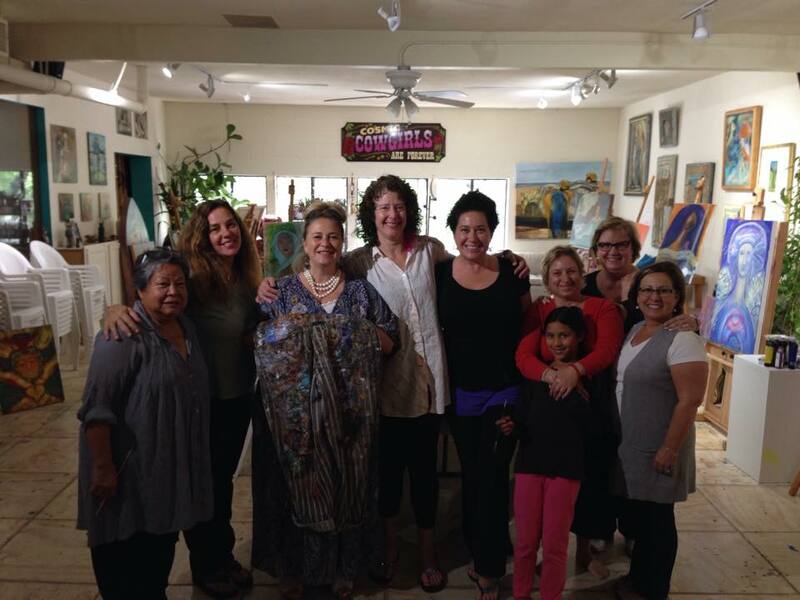 This is a Quest designed for the leader who knows she is destined to call her own circles and to lead others on transformational journeys. 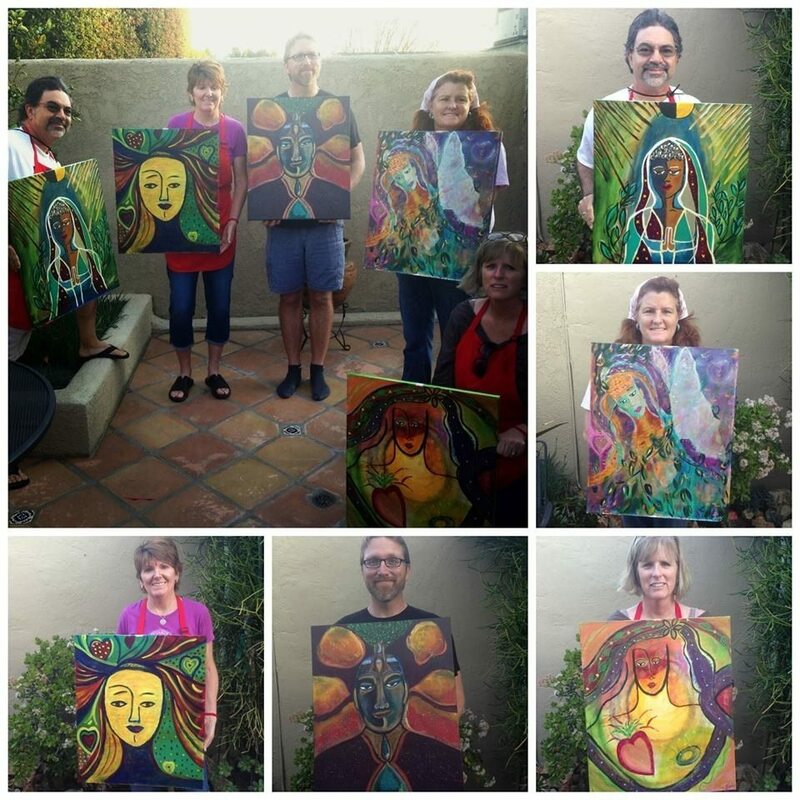 This is for visionaries, those who see between the worlds and know there is sacred work to be done. For those revolutionary souls who are a part of the turning of the great wheel. 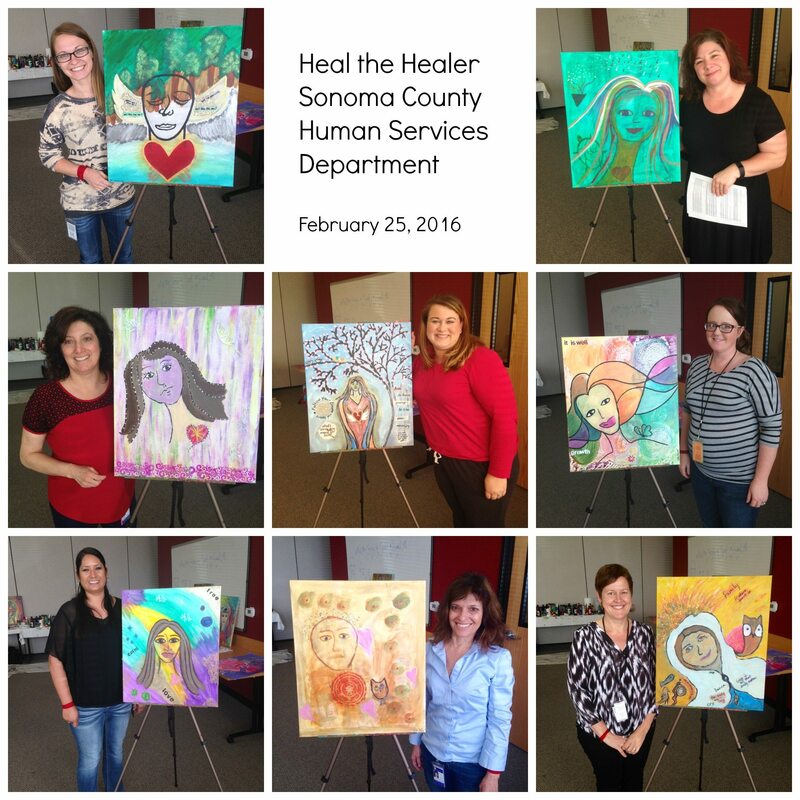 This is for healers who would like to show others how to discover their own internal feminine wisdom and live from that place within. 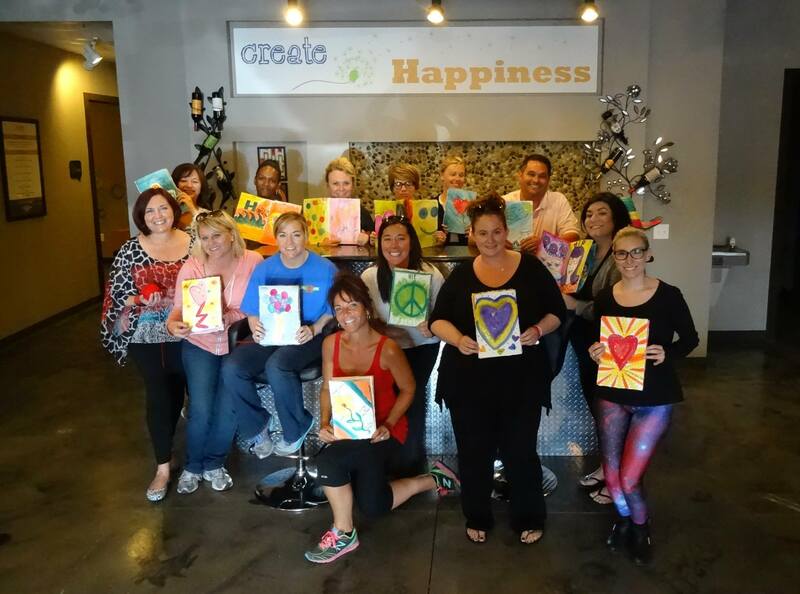 This is for those who have always wanted to pick up a paintbrush and express themselves in a big bold bright wild way. 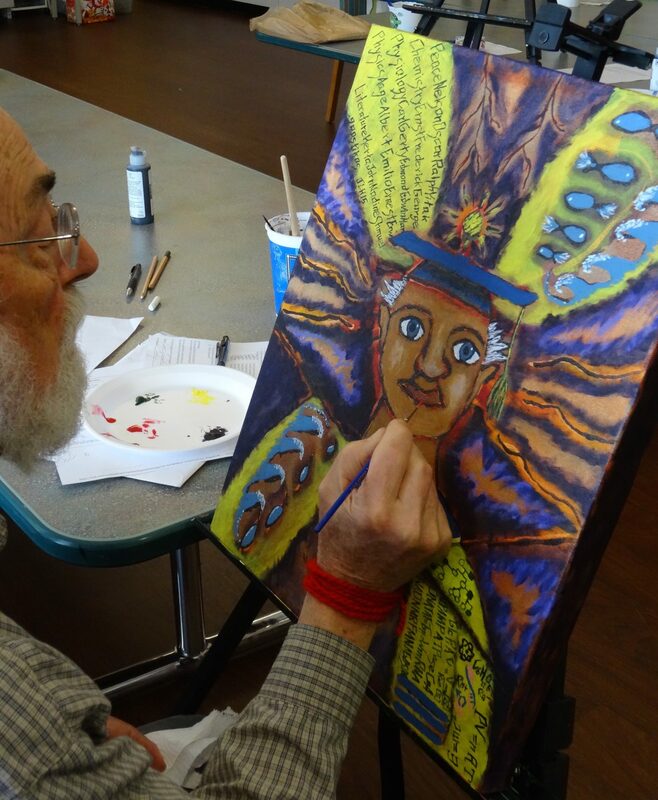 Most of us do but think we aren’t talented, this isn’t about talent with a paintbrush, but about being willing to self express the hidden stories and excavate the symbols from within. This is for those who are called to lead the way. To create the future, together. 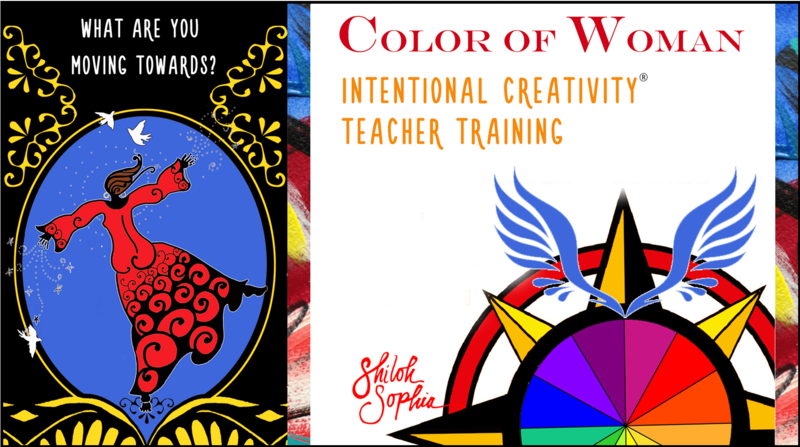 Intentional Creativity Teachers are working worldwide to bring this sacred work into the lives of thousands. 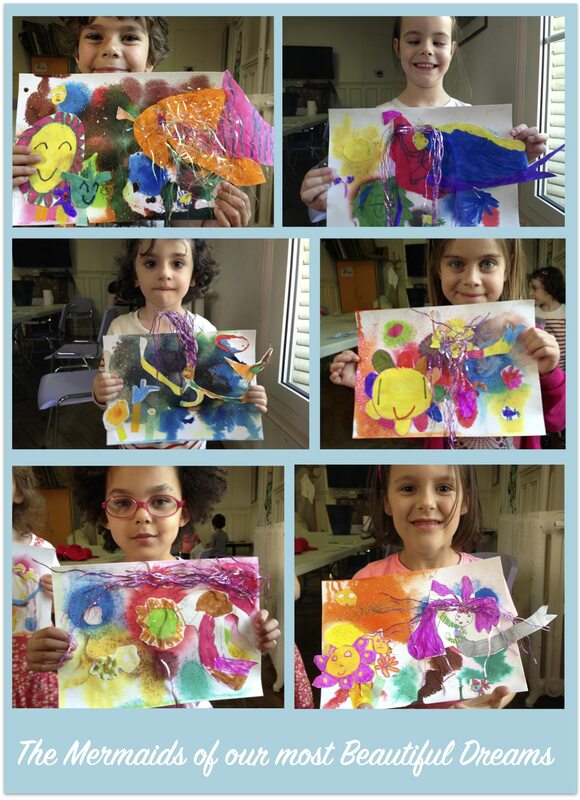 Intentional Creativity works with children – bringing magic back to their creativity process. 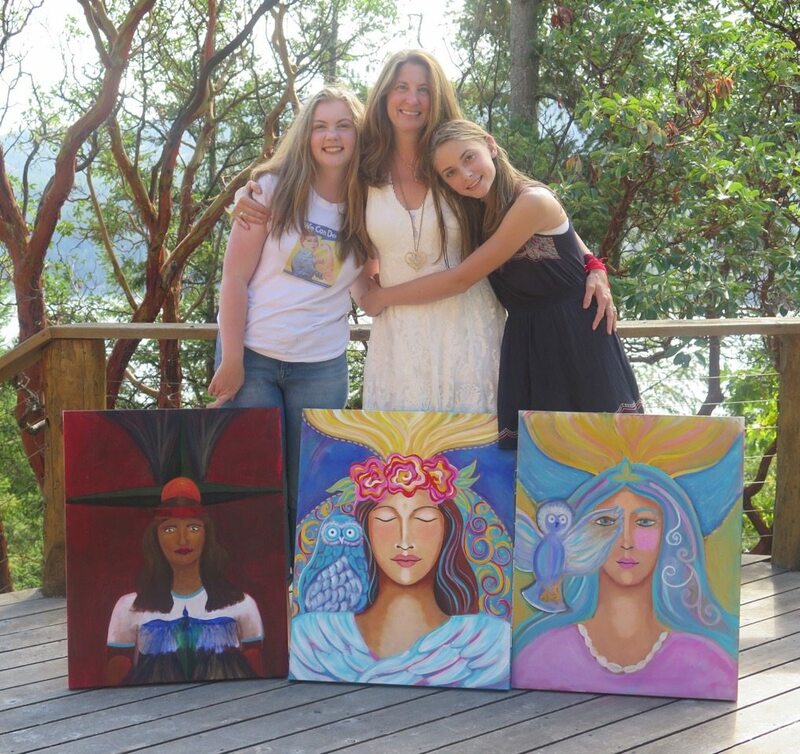 Katherine Witteman, Portland Oregon – teaches Intentional Creativity to women and girls, these are her daughters, raised in this creative philosophy, Julia and Katie. 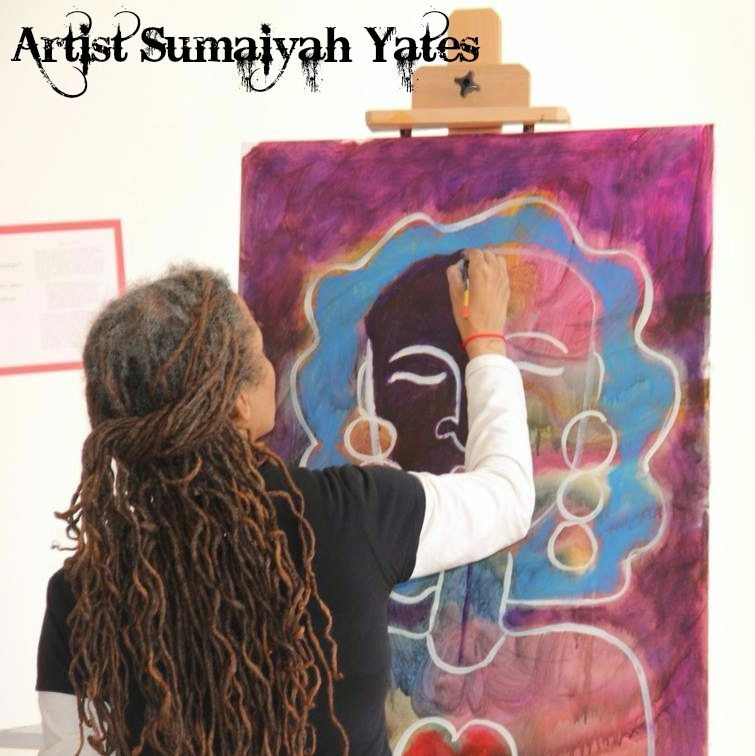 Sumaiyah Yates, Baltimore, Maryland in her gallery Soulful Emergence teaches painting, shows women artists and hosts music, poetry and cultural events. 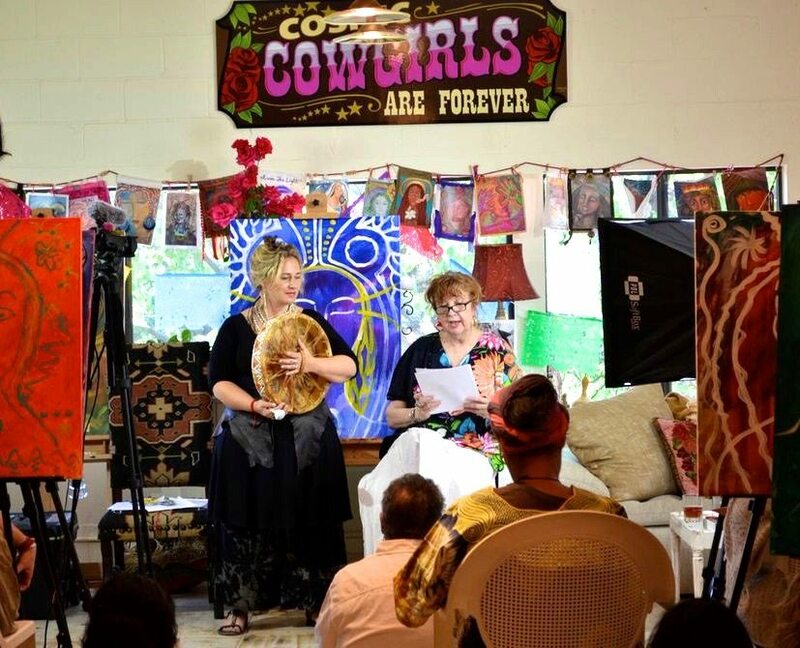 Color of Woman Teachers, Shiloh Sophia and Mary MacDonald have taught together in the Color of Woman and at Cosmic Cowgirls University for ever 8 years. 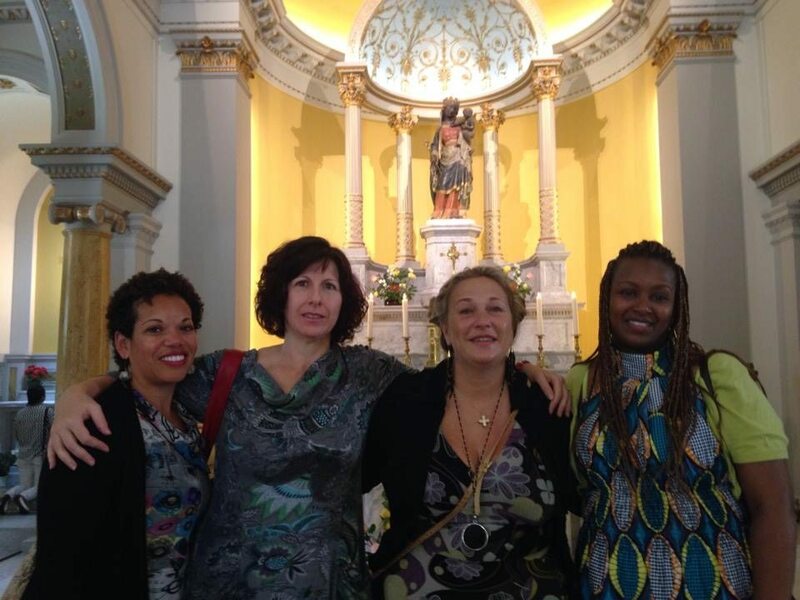 Rachel Bavis is a Color of Woman Graduate and lawyer who works within the Child Welfare System bringing Intentional Creativity to social workers and those that they serve.